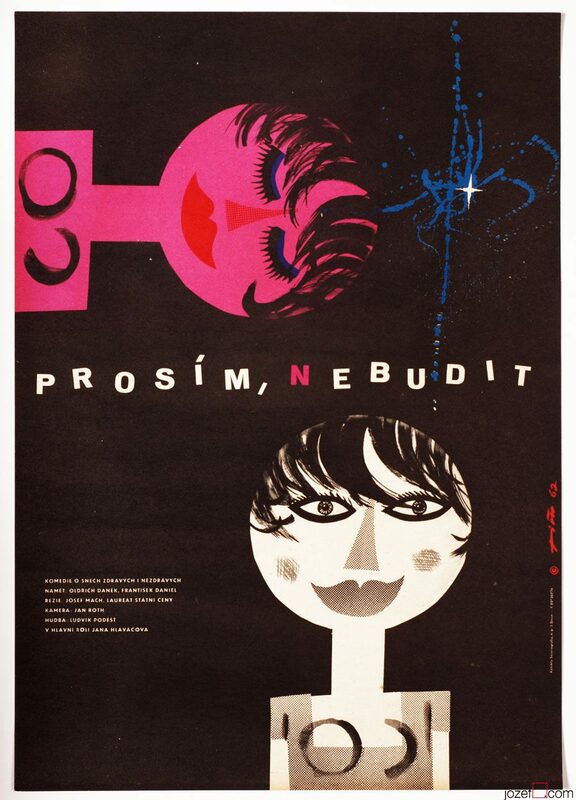 Miloš Reindl’s exceptional movie poster designed for 1960’s Cuban / Czechoslovak co-production. 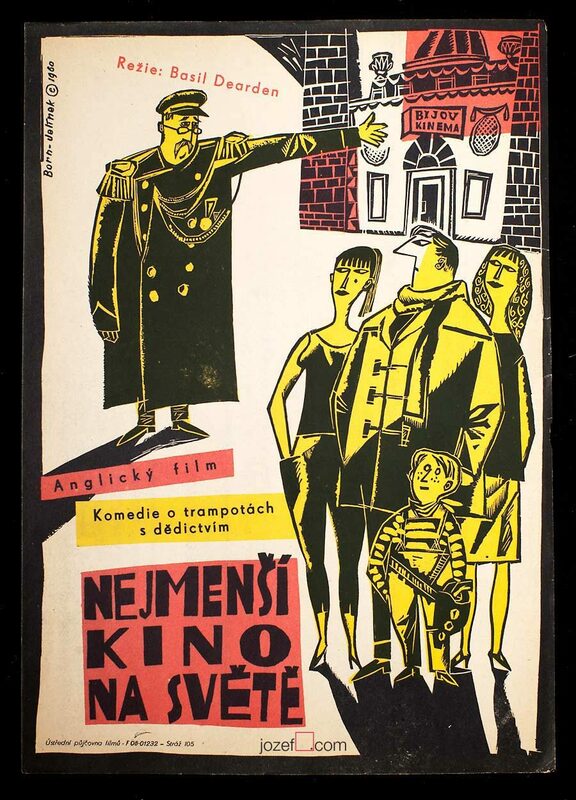 Excellent movie poster design by Czech poster designer and artist Miloš Reindl. Poster has been previously folded and has some typical age wear, e.g. tears around edges and some paper loss in the top part, 2cm crack in the fold. Folds also in the middle and in corners, staining and stamps of the screenings in bottom part. It is a rare and hard to find vintage print with great design and despite its age still with strong and vivid colours. It will look fantastic framed. Poster is in A3 format. 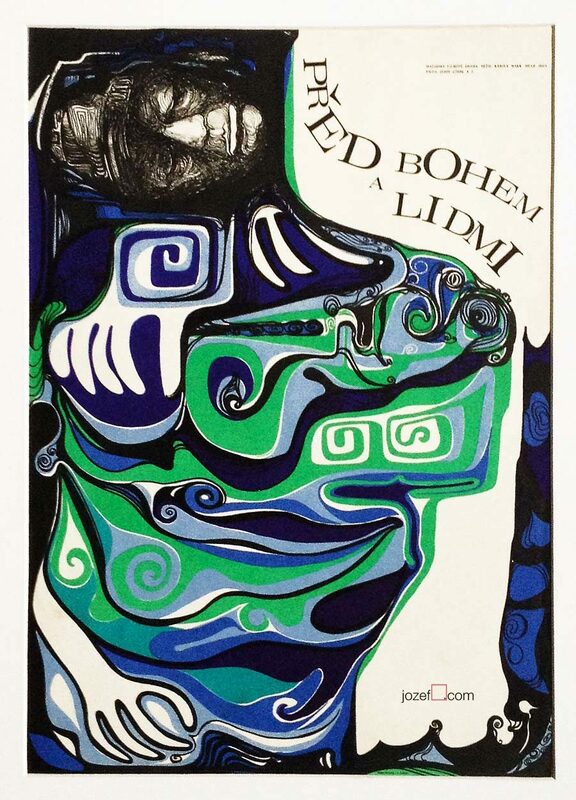 Miloš Reindl was a Czech painter and graphic designer and one of the most interesting poster designers of 60s in former Czechoslovakia. 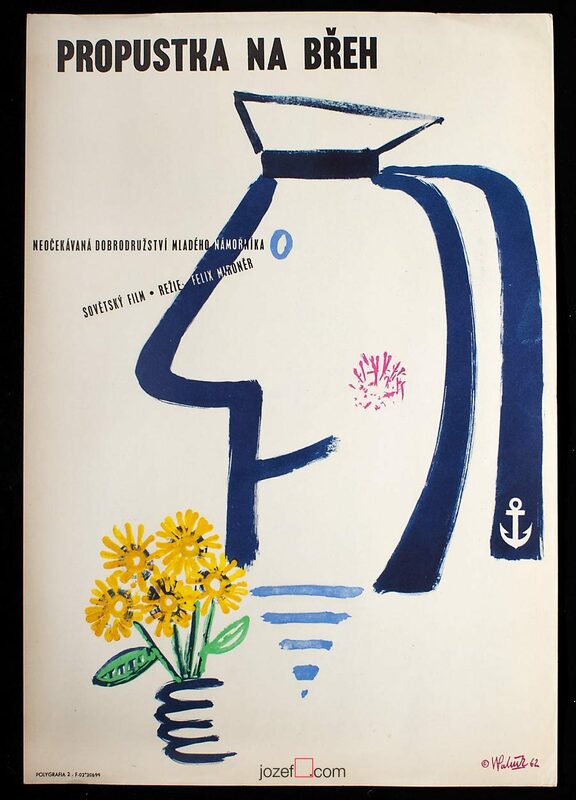 After his schooling at the School of Applied Art in Prague Reindl worked in the team of artists preparing the famous World exhibition Expo 58. He also worked as a textile and vinyl covers designer and created some of the most iconic movie posters of 1960s. After the Russian occupation in 1968, Miloš Reindl among several other artists, emigrated to Canada where he continued his career as an artist and teacher of drawing at the University of Laval, Quebec. illustrated posters available in or poster shop. 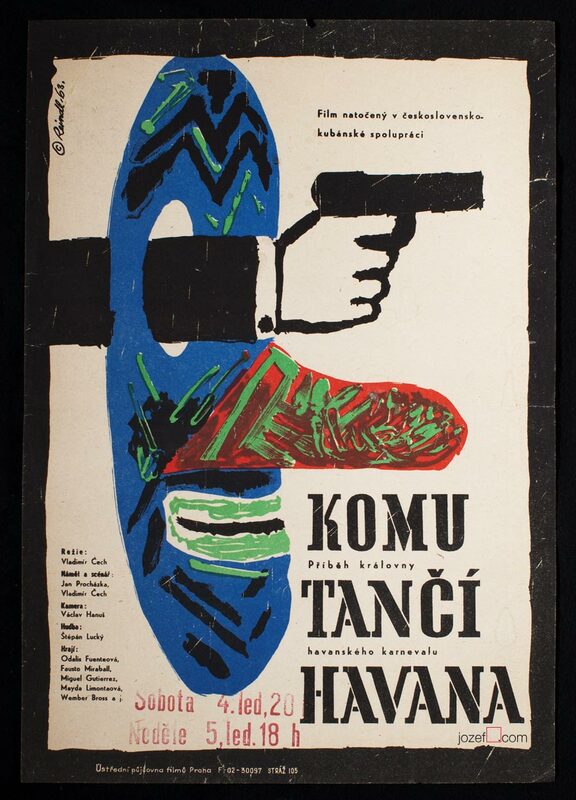 Be the first to review “Movie Poster – For Whom Havana Dances, Miloš Reindl, 1963” Click here to cancel reply.